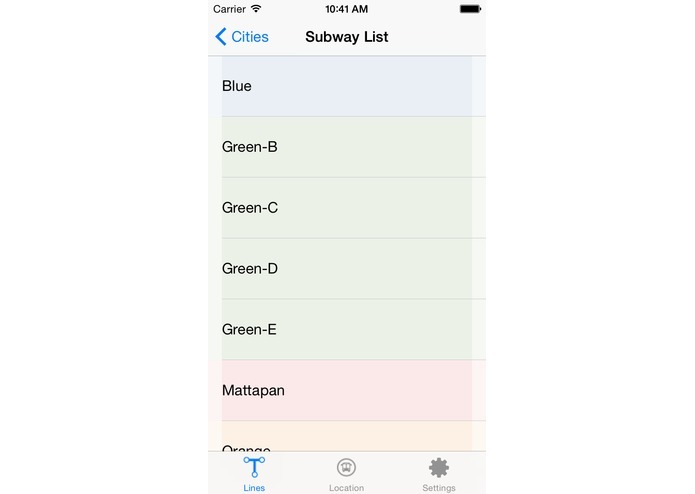 Crowdsourcing way-finding information for blind users inside subway stations. I am a blind person myself, and this submission grew out of my need to travel more gracefully, efficiently, and independently through subway stations in the big cities where I live, and visit. 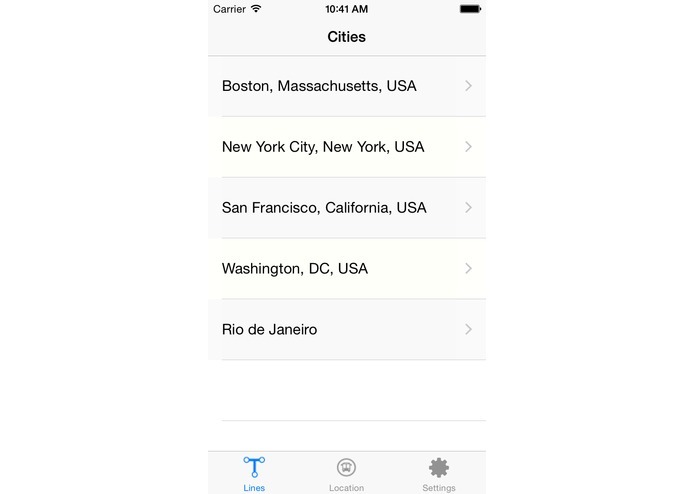 We list lines and stations in Boston, New York, Washington DC, San Francisco, and Rio de Janeiro. 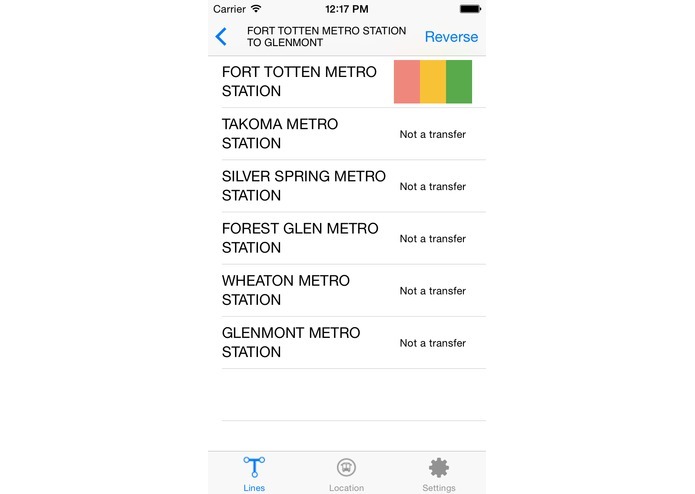 We leveraged public data about metro stations in these locations, and enable any user to add tips to metro stations so they, and anyone else using the app will benefit from viewing the tips left behind by a community of users. 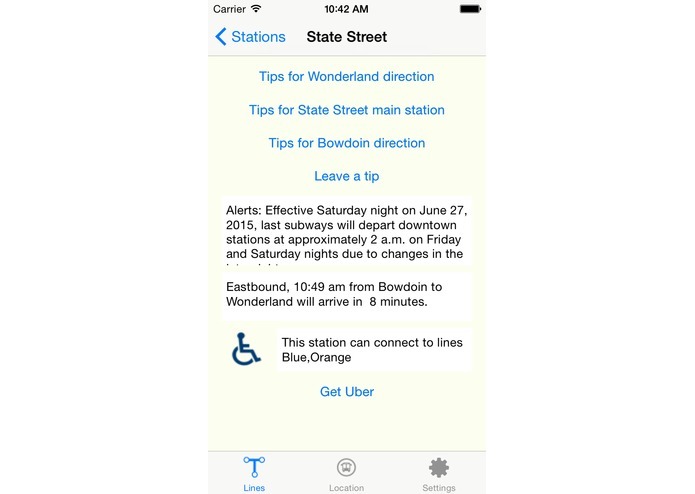 User tips will help a person review and remember how to get from point A to point B inside subway stations. 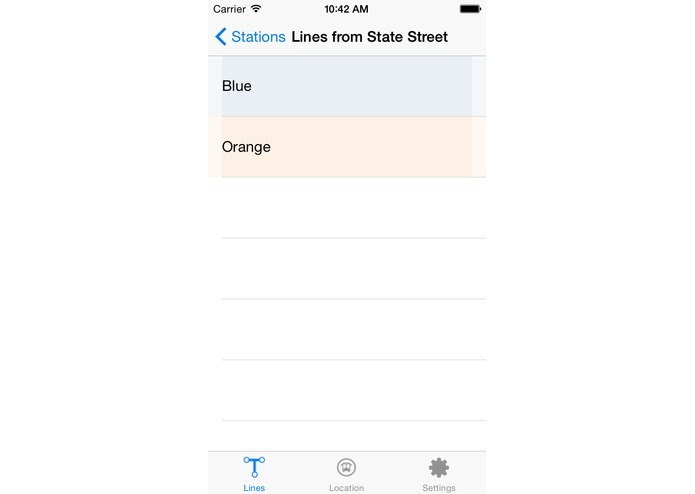 In this way, blind users can use station descriptions to find their way from the train to the stairs, or an elevator in order to exit a station. 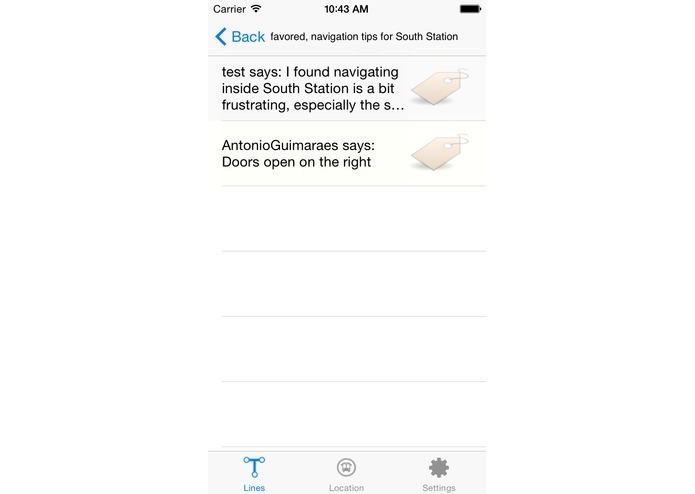 This app makes places easier to navigate, and removes barriers to access for blind people, those with mobility challenges, and others who can access information today, rather than wait for a time in the future when beacon technology is hopefully commonplace. 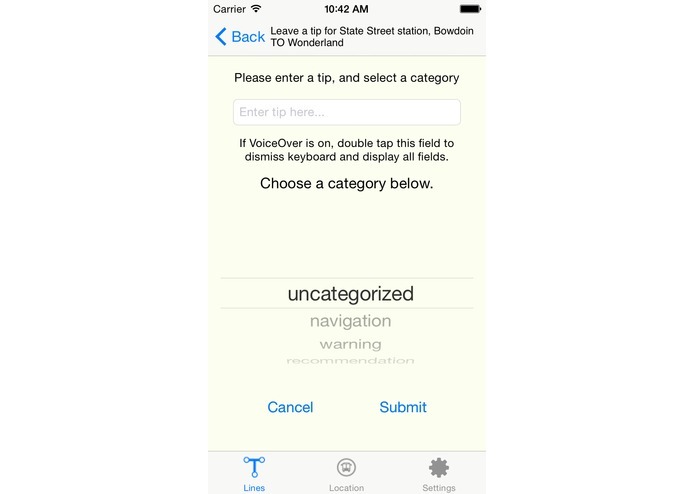 I can use every function of the app on an iPhone with VoiceOver, and our team considered valuable feedback from other users who are blind. We asked how other blind people get subway station information, and attended a feedback session with the exemplars in New York to help guide our in the direction we thought would be most helpful.